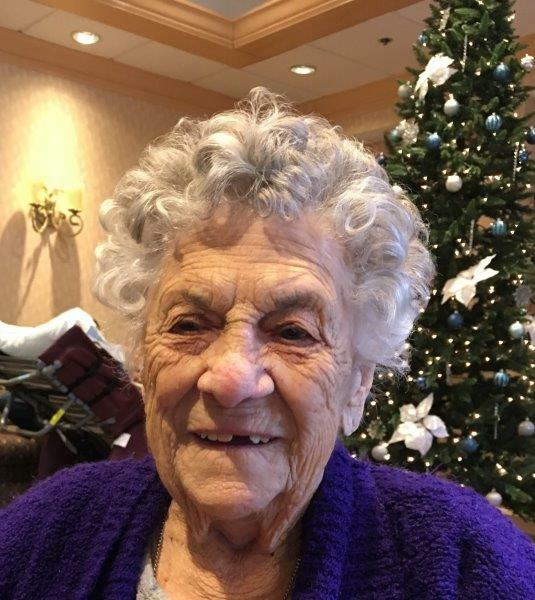 Constance M. (Latizia) Villani, 98, of Milford, where she has lived since 19450, passed away Monday, February 6, 2017 at Genesis Healthcare in Milford. She was the wife of the late Dante A. Villani, who passed in 1986. She was born in Pawtucket, RI, the daughter of Salvatore and Flavia (Bombazi) Latizia, and was a graduate of Natick High School. She was a communicant of Sacred Heart of Jesus Parish in Milford, a former member of the Milford Widows Group, and enjoyed baking, sewing, the beach, the Red Sox, Patriots, and spending time with her family. Sister of the late Frank Latizia and Tom Latizia, she is survived by her sister in law Susan Giampietro and her husband Daniel of Milford, nieces and nephews, Michael Giampietro of Milford, Joseph Giampietro of Milford, Debbie Latizia of ME, Alan Latizia of Ashland, Shirley Niro of Milford, Jeanne Basiner of TN, Judy Tusino of Milford, John Villani of NY, and Dianne Nicolo of PA. Also survived by her cousins Victor and Rosalba Palumbo. A visiting hour will be held on Wednesday, February 8, 2017, from 8:30-9:30AM at the Consigli-Ruggerio Funeral Home, 46 Water St., Milford, followed by a Mass of Christian Burial at Sacred Heart of Jesus Church in Milford at 10AM. Burial will follow in the parish cemetery.